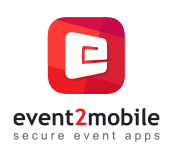 event2mobile is a platform that allows event managers and organizers to give visitors access to events through mobile devices. "This is the 5th time we've used E2M!!" Simple, straight forward front-end and back-end interface. Everything is customizable and there's a lot of add-ons to cater to my different events. Too many customizable options, could be quite a hassle if I just want to use if for a simple event. Privacy. We want everyone attending the event to be connected, share photos, posts, etc but we don't want this to be shared publicly and E2M has delivered on that. "Simple to setup and full of features"
Event2Mobile customer support is always ready to help and fix the errors. They have got a great team that helped us integrate Eloqua with their system with some custom development. at events, individual sessions & exhibitor booths. Nothing as such, overall experience, was really good. * We monitor all Event2Mobile reviews to prevent fraudulent reviews and keep review quality high. We do not post reviews by company employees or direct competitors. Validated reviews require the user to submit a screenshot of the product containing their user ID, in order to verify a user is an actual user of the product. Hi there! Are you looking to implement a solution like Event2Mobile?